Voom, a Helicopter booking app, expects to reinvent the ways of traveling in some of the worst traffic in the world: the traffic in Mexico City. In as little as a year, Voom has flown over 4,000 people, saving them hours that would have otherwise been spent in traffic. Voom is a subdivision of Frances Airbus. In March, it launched in the Mexican capital after setting in Sao Paulo last year, which is the second most populous city in the Americas, Mexico City being the first. In one year, Voom has flown more than 4,000 people and the company expects to surpass that during their first year of operations in Mexico, Voom Chief Executive Uma Subramanian said in an interview with Reuters on Monday. 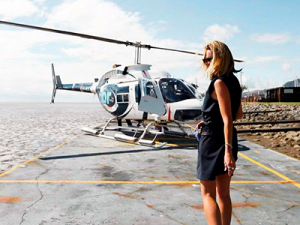 This will be the very first helicopter taxi service app in Mexico. 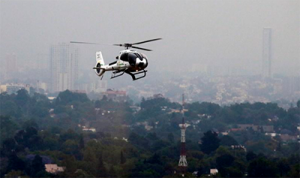 Helicopters are able to cross the 30 kilometers between Mexico Citys airport and into the Interlomas neighborhood in 12 minutes, compared to possibly over 3 hours it takes traveling by car during peak hour. There are currently three routes from the airport that are offered by Voom, but Subramanian said the company is planning to broaden their horizons in Mexico. In the future, with new types of electric vehicles, we could be part of the air transport system of Mexico City, said Subramanian. We hope to create a new mode of transportation in Mexico. Be sure to experience Voom on your next journey to or from Puerto Vallarta! Top 5 Best Activity You Can Do in Puerto Vallarta.